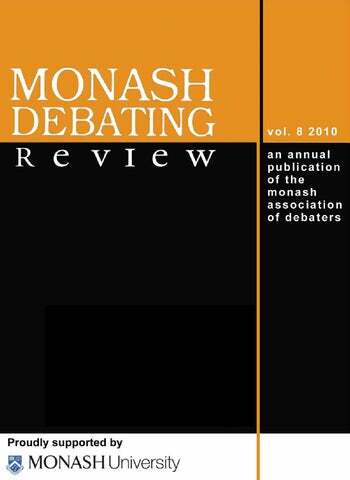 The motion as koan: seeing debate as transformative practice / Stephen M Llano, Ph.D. THERE IS NO SPOON: BEGINNER, INTERMEDIATE AND ADVANCED FIRST PRINCIPLES DEBATING About the author: Tim Sonnreich graduated from Monash University in 2008 with a MA (politics) and BA Hons (politics) and is currently employed as a Senior Advisor to the Premier of Victoria, the Hon. John Brumby MP. During his time as an intervarsity debater Tim was a runner-up at the 2003 World Championships, three-time winner of the Australasian IV in 2000, 2001 and 2004 and twice best speaker in Australasia in 2002 and 2003. He has judged the grand final, and served as a deputy chief adjudicator of both competitions. He is a Life Member of both the Monash Association of Debaters (MAD) and the Australasian Intervarsity Debating Association (AIDA), having served in a variety of elected positions including as President of MAD and was the founding editor of the Monash Debating Review (MDR). The concept of ‘first principles’ debating is gaining traction, particularly in Australasian debating, but as yet there no truly clear and comprehensive definition of the theory available for speakers or coaches.1 That’s a great boon to those of us who are invited to provide training in distant and exotic lands, but at the cost of reduced consistency and access to the ideas. This article seeks to redress that by providing an overview of the core concepts, and demonstrating the progression from beginner to advanced skill sets. It should hopefully be useful to speakers and coaches alike. Making Cases from First Principles Many people reading this article may not be familiar with the term ‘first principles debating’, so it’s worth defining it before attempting to unpack it in detail. Essentially, first principles are a methodology for approaching topics and case construction when you lack a detailed understanding of the specific issues in the topic. The idea starts off quite simply, with some basic logical principles, and then becomes more complex as speakers gain experience. 1 My own previous effort Introduction to Training Guide for University Debating: Tips, Tactics and First Principles is close but incomplete. My apologies to anyone who has compiled such a resource without my knowledge. A classic example of a Tradeoff is Efficiency versus Accountability. If you were designing a government you would surely think both these concepts were crucial, but the reality is that in many instances efforts to increase one of these values necessitates a reduction in the other. Consider the choice between unicameral and bicameral parliaments. Theoretically, a unicameral parliament is more efficient at decision making, but a bicameral parliament allows for greater accountability. It’s a subjective question of which arrangement best suits the country in question. The same tradeoff applies to a range of politically themed topics, while other tradeoffs, such as equity versus efficiency cover off on a range of economics topics, etc. However, the Values debate-type is a different style of topic, with the two competing values systems rather than a tradeoff between two objectively good choices. Striped of all the hyperbole and practical limitations a death penalty debate is a clash of values – fundamentally you either think it’s right and proper for the state to kill criminals or you don’t, you must support one value to the exclusion of the other. Finally, there are Cookie Cutters, which are cases which have reoccurring constellations (rather than just a single core difference like in Tradeoffs) of arguments in otherwise seemingly different topics. Ban versus Regulate debates are the best example – whether its drugs, gambling, prostitution, etc, similar arguments repeat (protection of consumers, quality of product, taxation of product, minimising harm, etc). These are just three examples, and not every topic fits conveniently into one of these moulds, but many do, and for the novice speaker these basic insights can reduce the seeming randomness of topics and help them to leverage what little experience they do have in a logically consistent way. Intermediate First Principles – Spectrum of Ideas Basic first principles helps to give new debaters confidence and consistency. However, this approach also risks oversimplification, with speakers looking for binary dichotomies in every topic. While these crude cases are far superior to the disorganised aggregation of ideas they replaced, they will remove too much of the art and strategy of case construction by blinding teams to the options available to them in the topic. So thinking about the topic from (intermediate) first principles reveals all the options for both your team and your opposition. The wording of the topic will determine which team has the option of the middle position. Those choices are profoundly significant strategic decisions for teams, but they are revealed with little or no specific knowledge of the issues, just the application of logic. Of course that’s not to say there is no value to research and specific knowledge – it is incredibly valuable, but you don’t need it to construct a valid and consistent case. However, since you can construct various models for each of those positions, and the subtle differences in them might affect your arguments, you now know what to research (i.e. models of full government ownership and operation, hybrid models and fully privatised models) which is a lot more effective than simply researching ‘privatization’ and hoping you cover all the issues. Effective research will reveal a plethora of options for models. For instance, transport academic Paul Mees’ recent book Transport for Suburbia5 included a spectrum with seven options for models (three kinds of government operations models, two hybrids public/private models and two forms of entirely private ownership), but the differences between the three kinds of government operations models only really matter in real world of public policy making and are unlikely to be relevant in the more limited context of a debate. Knowing all seven of those options might give you some useful ideas, but I would be surprised if a pro-public ownership team ever had need to clarify whether they were proposing the “public transport federation or verkehrsverbund” model or the “public corporation” model (options 3 and 2 on Mees’ spectrum respectively). Similarly, there are other positions on Eckersley’s spectrum, but the additional distinctions are too fine to be picked up in the vast majority of environment topics at debating tournaments. The key difference between basic and intermediate first principles is nuance. Basic first principles seek to draw the clearest black and white distinctions between the two teams, but intermediate first principles introduce a little grey. But why does that matter? How does it help you? Mees, Paul, Transport for Suburbia; Beyond the Automobile Age, Earthscan, London, 2010, p.72-75. Chris Rock Never Scared, HBO, 2004.
truly have principled and practical arguments that are consistent and well considered. That does not mean that you always abandon the more hardline views for the centre of the spectrum, it means understanding what that there is always a range of equally philosophically valid options available to you in any topic, so you should choose the one that best suits the context – the specific topic, the strengths and weaknesses of your team, etc. In the case of the environment spectrum there are many examples of this. Nuclear power is an extremely common topic, and ostensibly the affirmative and negative teams’ cases should slot nicely into the spectrum I described earlier, with the anti-nuclear team taking up a ‘deep-green’ position, and the pro-nuclear team choosing one of the other positions, but most likely a technological ecologist position (which advocates for technological solutions to environmental problems like pollution). Such a debate would work well, both teams would understand and be clearly differentiated from their opponent. But in the real world the debate isn’t always as neatly defined as that. Certainly most deep green ecologists oppose nuclear power, but they don’t all do so and those that don’t are able to reconcile their support for nuclear with their eco-centric worldview. An example of this is the noted author and environmentalist James Lovelock who is as much a deep green ecologist as any member of Greenpeace, but who supports nuclear power because he sees it as necessary to rapidly reduce greenhouse gas emissions and tackle climate change.7 He acknowledges the parochial risks of nuclear energy, but sees protection of a stable climate as an over-riding concern, and doesn’t see alternative policies as viable without nuclear power. In other words he supports nuclear power because he’s deep-green, not in spite of it. If climate change didn’t exist he’d oppose nuclear for the usual reasons, but since it does exist it’s the pre-eminent environmental concern. Why does this matter? How is it superior to intermediate first principles? Well firstly by definition a worldview is more practical than an ideology. As Homer Simpson famously opined, “Marge, I agree with you - in theory. In theory, communism works. In theory”.8 A consistent principle is crucial for a strong case, but that’s the beginning of case construction, not the end. The other ingredient in a strong case is clear and practical benefits. Advanced first principles encourages you to not only know what you are (deep green ecologist, 7 Lovelock, James, “Nuclear power is the only green solution”, The Independent, 24/5/04, available at www.jameslovelock.org/page11.html 8 The Simpsons, “Bart Gets an Elephant”, Episode 15, Season 5. Monbiot, George, Heat: How to Stop a Planet Burning, Allan Lane, Victoria, 2006, p.99. studying arguments specific to a small number of topics – the luxury that novices couldn’t afford because of the diversity and unpredictability of topics they face. Ultimately that’s what first principles are about – giving teams more options for building their case, so they can make the best strategic choice. In its advanced form it should also mean that debates are as closely grounded in the real-world policy discussions as possible. That’s important if you think debating is fundamentally a training ground for good citizens – people who have well considered opinions and are capable to persuading others to agree with them. It’s also important if you want to have complex, nuanced and challenging debates. These are difficult techniques to master, but the rewards are more than worth it. LIBERAL ARGUMENT AND ITS DISCONTENTS About the author: Douglas Cochran is an LLM student at Cambridge University. He has Undergraduate degrees from Cambridge in Law, and from St Andrews in International Relations and Economics. As a debater Doug is a twice World Semi Finalist, a European Finalist. He has judged the grand final of Worlds, and served as a deputy chief adjudicator of the 2010 European Championships. Libertarians share the liberal’s adherence to individualism and its tolerance toward differing accounts of the good life. They break with the liberal utilitarian tradition of Bentham, Mill, and Sidgwick. To liberal utilitarians, legal orders that afford individuals a wide range of autonomous choice are justified as they are more likely to produce happiness, pleasure, or utility. As Gordon Scott (1991: 256) explains, "One should note that John Mill did not defend freedom of thought and expression on the ground that man has a 'natural right' to them or because they are intrinsically good in themselves. The argument is utilitarian; these freedoms are useful. "7 To the libertarian rights are not established because they make society a happier place (though they may very well do that8); they are the political parallel to the entitlements owed to each individual by dint of their personhood. When present, a legitimate right renders null and void any discussion of social interest or utility maximisation. Rights are to be vindicated, whatever the cost to others. In their absolutist defence of rights, libertarians find common cause with that branch of Kantian liberalism9 which sees rights as necessary weapons to defend individual dignity against the encroachment of state power. Liberal defences of absolute rights tend to emphasize the uniqueness and dignity of every person. Individuals’ rights, properly conceived, are not subject to trade-offs against others, because each individual is rightly viewed as an end rather than a means for whom do they garner utility if not for themselves? To Dostoevsky’s famous question about the permissibility of torturing one person to purchase bliss for the whole world, the rights-conscious liberal would reply that such an arrangement would be unjust as a universe abounding in utility would be no compensating advantage to the individual who is tortured. Each world of perceptive experience created by a human life is unique, and no means yet devised can absorb the pleasure and pain experienced by multiple persons, because the means of weighing pleasure and pain is the individual, herself. As such, interpersonal utility tradeoffs are impossible to justly procure. Libertarians break decisively from liberals by their insistence that property rights ought to be accorded the same inviolability afforded to personal rights such as freedom of religion and bodily integrity. They argue that the appropriation of an individual’s property is morally indistinct from seizing the 7 H.
Natural resources are the common heritage of humanity. Nothing in our personhood gives us the right to exclusive use of a scarce resource. Property doesn’t do justice to generations as yet unborn, who have no chance to claim resources that are currently being monopolised by those currently living (even if they did have a right to them). Government protects property from outsiders and thus demands some share in it. Those who benefit most from state protection (the rich) should pay the most in taxes. Common goods (e.g. a healthy environment) will only be provided by a society where government controls property (at least to some extent). Each individual was cared for in their infancy and thus bears some responsibility to the society that protected him. Clever libertarians can (and have) marshalled rebuttals to these arguments, but the responses that libertarians give are generally more complex11 than the challenges and less intuitive to most judges. Thus, in a seven-minute speech, libertarian arguments are at a distinct disadvantage; the libertarian debater must generally refute all challenges to the absolutism of property rights in order to win the point. His critic needs only to See Nozik (1974) Anarchy, State and Utopia the work Michael Otsuka’s (2003) Libertarianism with Inequality for a thoughtful defence of leftlibertarianism against its liberal critics. cheapen that claim at one vulnerable point to win. As a result, libertarianminded debaters aiming for to break are probably best served to concentrate on liberal arguments for free-market economics. Fortunately, most libertarians (e.g. Milton Friedman, Ayn Rand) also supply a range of plausible arguments as to why liberalized markets generally contribute to human freedom and the general prosperity. Improvements to human freedom and social welfare will generally be more persuasive as reasons for decision to a judge than absolutism claims concerning property rights. Classical Conservatism If it is difficult to discern a distinctly conservative12 debating tradition, this may be due to the fact that scholars have consistently struggled to offer an agreed definition of what it is to be a conservative. To some thinkers of the Right, conservatism is less a set of policies than a political disposition ‘to prefer the tried to the untried, fact to mystery, the actual to the possible, the limited to the unbounded, the near to the distant, the sufficient to the superabundant, the convenient to the perfect, present laughter to utopian bliss.’13 To other conservatives, such as the disciples of Edmund Burke, conservatism consists of defending the role of non-state associations (families, communities, religious organizations) as necessary tools for the maintenance of social order.14 Conservatives are not, however, anarchists, and tend to see the institution of law as a necessary complement to religious teaching, parental authority, and community values. Despite its innumerable variants, nearly all conservative philosophy has one particular feature in common: it is extremely difficult to successfully employ within the context of an Inter-varsity debate. The reasons for this are fairly obvious; it would be difficult to imagine a debating culture that deferred to tradition, authority, or religious revelation as reasons for decision, unless that debating circuit was entirely composed of members who accepted one particular tradition as authoritative (e.g. Roman Catholics). So long as Intervarsity debating continues to be a cross-cultural phenomenon, certain liberal precepts will probably inform the structure of argument15. 12 As distinct from libertarianism or market conservatism more generally. Conservatives of the Burkean tradition generally allow some role for relative free markets as a means of generating wealth, but they are often suspicious of the market’s impact on social relationships and traditional allegiances. 13 Oakeshott, Michael (1956) ‘On Being a Conservative’ in Rationalism in Politics and Other Essays (London: Methuen,1962), 14 Roger Scruton’s The Meaning of Conservatism offers an accessible account of the Burkean tradition. 15 See Eusebius McKaiser’s article in vol. 7 of the MDR on the fate of conservative argumentation for more on this theme. Moreover, the context of a motion will generally force the government team to propose some sort of state action (or philosophical precept by which state action could be informed), which creates a state-centric discourse within the debating community. As such, though debaters are usually willing to accept that state authority ought to be curtailed when the scale of governmental coercion causes immense suffering, they are less willing to accept that certain spheres of life are inherently beyond the purview societal control (e.g. parental authority over children or intimate relationships) and therefore not the rightful subject matter of legislation. Thus, when conservative doctrines are employed successfully, they are usually explained as pre-existing attitudes that ought to be respected rather than the ideals of a utopian society. A straightforward example of this would be making an argument for the preservation of retributive justice in the penal system on the basis that a non-retributive penal system would excite a desire for vigilante justice amongst the aggrieved citizenry. In other words, though it may be difficult for debaters to argue that conservative thinking is correct, they may have occasion to suggest that it is prevalent, and that the ability of the state to liberalise contemporary values through legislation may be limited. Again- and more controversially- whether or not women are inherently better suited to care for children than men are, a society which believes that women make better parents may be one in which women (as a result of their upbringing) feel a stronger obligation than men to care for children and will be under stronger social pressure than men to do so, thereby making them more effective parents16. In short, conservative values (like any values) can often be performative: belief in them may actually make them true. The God that failed: Marxism’s false start Given the alignment of many Inter-varsity debaters with the politics of the left and their exposure to the thinking of contemporary academia, one would expect the liberal tradition to come under scrutiny from adherents of a Marxist point of view. Contemporary practice, however, shows this not to be the case. Quite possibly, many debaters are simply not equipped with a sufficiently robust knowledge of Marxist thinking to employ such argumentation in a debate. Given the daunting scope and theoretical complexity of Marxist thinking, those with merely a lay 16 Obviously, there are very strong reasons not to perpetuate gender norms which see childcare as exclusively ‘women’s work’, even if this leads to short-term gains in the quality of childcare provided. interest in political philosophy may feel that even the rudiments of Marxist criticism would be beyond them. Even if such critiques could be articulated, debaters may fear that their arguments would do little to persuade a liberal judging panel. Perhaps more critical to the fate of Marxist argumentation is the fact that most debating traditions (British Parliamentary, American Parliamentary) allow proposition or government teams the benefit of fiat, or an absolute license to craft the world in a manner conducive to the fulfilment of the motion. Thus, if the motion is THB: That the USA should immediately end all military and economic assistance to Israel, it is generally impermissible for opposition teams to argue that the American government would be very unlikely to do such a thing. The rationale for such a rule is perfectly sensible. Fiat rules prevents debates disintegrating into mere jousts over political analysis. Moreover, in a debating culture without fiat rules, there would be very few topics that could be guaranteed to past muster- those motions that stayed within the frontiers of policymakers’ explicit agendas- thereby winnowing down the potential subject matter available for debate to rather mundane questions about the optimal distribution pattern for public services and dead peoples’ organs. The difficulty that this creates for Marxist debaters is that much of the most insightful Marxist analysis concerns the impossibility of achieving liberal goals, not their undesirability, per se. Thus, many government teams will tout the ability of certain policies to significantly reduce economic inequality or to improve the long-term welfare of the poor. To many Marxists, the contradictions inherent within global capitalism and the realities of class struggle will prevent governments from adopting such egalitarian measures, but fiat prevents them from demonstrating the veracity of their claim. As a result, Marxist analysis is far more prevalent on the circuit than Marxist argumentation. Many successful debaters are more than able to launch criticisms using Marxist ideas and language, without adopting a purely Marxist critique. Thus, concepts like ‘false consciousness’17, ‘emancipatory violence’18, or ‘alienation’ can be used to discuss the failures of the capitalist order, even if the teams appropriating the 17 The theory that material and institutional processes in capitalists society are misleading; representations of the social relations systematically conceal or obscure the realities of subordination and exploitation. For instance, a Marxist analysis may suggest that social relations and ideology has naturalised the belief that a women’s place is in the home. Some women may thus suffer from exploitation and subordination without realising it. 18 Certain states of the world are taken to be pre-political and natural, hence are unchallenged by the exploited. Violence can shatter that worldview. See Fanon’s (1962) The Wretched of the Earth for more details. point was successfully argued by the team in first opposition in the ESL Final of the 2009 European Debating Championships on the same motion. viewpoints comes from the ability of Inter-varsity debating to unite an otherwise disparate group of individuals who have expressed an interest in explaining, clarifying, and amending their views. If the debating chamber remains the preserve of liberal thinking, the foyer outside is an ideological nomanâ&#x20AC;&#x2122;s-land. But the frontier where the great advances in the communityâ&#x20AC;&#x2122;s thinking may yet be found. 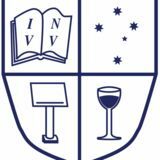 THE ROLE OF TRUST IN POLITICAL CULTURE WHEN TEACHING DEBATE: THE KOSOVO CASE STUDY About the authors: Leela Koenig is finishing an MA in Applied Ethics and is about to enroll into an MPhil program on Moral Philosophy at the University of Edinburgh. She was the Chief Adjudicator of Amsterdam Euros 2010 and held dozens of CA and DCA positions around Europe. As a debater for the Leiden Debating Union, she broke at many tournaments, is a Euros quarterfinalist and she was best ESL speaker at Tallinn Euros 2008 and Koç Euros 2007 as well as best ESL speaker of Corks Worlds in 2009. Maja Nenadović is a doctoral candidate at the European Studies Department, University of Amsterdam, the Netherlands. Her research focuses on the development of democratic political parties and party systems in post-conflict internationally administered countries, provisionally titled "Installing Democracy in the Balkans: Assisting Political Parties in Bosnia and Herzegovina and Kosovo." When not busy with research and writing, she is a freelance consultant in public speaking, advocacy, campaigning, strategic planning and fundraising in the civil society sector. In the past decade, she has founded several debating societies and clubs across Europe and actively continues to coach debate. This article draws on debate training experience that took place in Prishtina Kosovo, in the summer of 2008. As part of the effort to jumpstart debate in Prishtina’s universities we held a workshop introducing the British Parliamentary debate format to students. Soon into the training it became apparent that certain underlying preconditions are essential in order to have a debate at all. To debate government and opposition roles, participants need to understand the formal role these occupy in a democratic system. Further, and more crucially, they should trust that these roles will be performed. Any debater needs to be under the assumption that governments indeed perform their roles, but little did we know how the structural failure of a government to function in such a manner would, for example, affect the ability of a participant to set up a simple first proposition case. Teaching debate in substantially different political contexts can be a great challenge for coaches. The purpose of this article is to discuss these challenges and offer suggestions for dealing with them. Although this article was inspired by our experiences in Kosovo, its findings are applicable to a wide array of cases, such as teaching debate in post-conflict societies or authoritarian/totalitarian regimes. The suggestions offered here are simply a starting point for developing a method for preparing to teach debate in areas where there is little faith in government. 1 Serbia challenging independence at ICJ. The Court’s advisory opinion issued on July 22, 2010 stated that Kosovo’s proclamation of independence was not illegal under international law. Nevertheless, Serbia is not expected to ease its blockade of Kosovo’s entry into various international intergovernmental organizations (e.g. the UN). Kosovo had the status of autonomous province of Republic of Serbia within the Federal Socialist Republic of Yugoslavia. Serbian President Slobodan Milošević revoked its autonomy in 1989, which further cemented the deterioration of relations between the Albanian majority and Serbian minority ethnic groups living there. The guerrilla Kosovo Liberation Army (KLA) began fighting Serb police and military forces in mid-1990s. In 1999, NATO launched the Operation Allied Force which consisted of military combat sorties and air strikes against Serbia from March until June of that year. This unprecedented intervention – conducted without the United Nations Security Council Resolution, on humanitarian grounds – targeted the Serbian President Milošević and his policy of human rights violations against ethnic Albanians living in Kosovo. Since 1999, Kosovo has been under international administration, embodied by the United Nations Mission in Kosovo (UNMIK), Special Representative of Secretary General (SRSG) and Organization for Security and Cooperation in Europe (OSCE) organizations. 2 Walter Mayr, “Confusion and Corruption in Kosovo: The Slow Birth of a Nation,” Der Spiegel / Global Research, April 24, 2008.
areas…and are more correctly characterized as vehicles for patronage and advancement of their leaders and the extended families…”3 Other analysts have pointed out that the international community’s effort of state building in Kosovo is in a “state of denial” as Washington and Brussels are in fact “…ushering into existence [what] looks set to become a heavily criminalized state in the heart of Europe, with far-reaching implications.”4 The UN police spokesman in Kosovo is cited as saying that it “is not a society affected by organized crime, but a society founded on organized crime.”5 Moreover, the general perception that organized crime and corruption are endemic in Kosovar society is confirmed by several surveys and opinion polls of Kosovo’s citizens,6 as well as by Misha Glenny’s research on organized crime worldwide which features Kosovo whose political elites had “consolidated [it] as a new centre for the distribution of heroin from Turkey to the European Union.”7 Political culture in Kosovo is not one in which citizen’s interests are represented. We now turn to describing an experience of teaching debating in such an environment. Teaching Debate: Description Prishtina currently hosts several dozen universities.8 During our visit, the introductory debate workshop attracted approximately twenty students from three universities. After explaining the basic model of British Parliamentary debating, we decided to brainstorm a bit to practice argument generation for each of the positions at the table. Opening government came first. The motion we selected came from that year’s European Championships: “This House Would Make Fines Relative to 3 Fred Cocozzelli, “Political Parties in Kosovo,” Global Security and Cooperation Quarterly 11 (Winter 2004): 7, in: Jeff Fischer, Marcin Walecki, Jeffrey Carlson (eds. ), Political Finance in Post-Conflict Societies, report prepared by IFES – funded by USAID (May, 2006): 81 – 82. 4 Svante E. Cornell, Michael Jonsson, “Creating a State of Denial,” The New York Times, March 22, 2007. 5 Ibid. 6 Global Corruption Barometer 2009, Transparency International, available online at: http://www.transparency.org/publications/publications/gcb2009 (accessed: August 10, 2009). Transparency International ranked Kosovo the world’s 4th most corrupt country in 2007. 7 Misha Glenny, McMafia: Crime Without Frontiers (London: The Bodley Head, 2008), 55. 8 The most established oldest university of the University of Prishtina. However, in the post-war development boom, several dozen private universities were founded throughout Kosovo, but mostly based in the capital. Quality-control, copying educational programs and syllabi from prestigious Western universities and lack of academic standards, as well as corruption and diploma-selling are considered as greatest challenges facing the Ministry of Education in accrediting and organizing all these universities currently functioning in Kosovo. Christopher J. Coyne, After War: The Political Economy of Exporting Democracy (Stanford: Stanford University Press, 2008); Francis Fukuyama, “The Primacy of Culture,” Journal of Democracy 6:1 (1995); Iain King, Whit Mason, Peace at Any Price: How the World Failed Kosovo (New York: Cornell University Press, 2006), etc. It makes sense to introduce motions which have very clear clashes between the values, or a motions which focus on whether a given means is justified in order to obtain a certain value (e.g whether positive discrimination is a fair way of achieving equality, or whether a legal system is more just if it assigns lawyers, instead of allowing the rich to pay for better lawyers). Another worthwhile exercise is introducing a bit of acting into the workshop. A coach can assign certain roles to participants and they each have to advocate their position. One of the participants can act as the ‘government’ and one as ‘the opposition’ while other participants are ‘the tax payer’, the ‘environmentalist’, the ‘parent’, the ‘religious minority’ or whomever is a relevant stakeholder in a motion you as a coach want to analyze and debate. Besides this being a lot of fun, participants can identify with the role governments can play when they play this role or when they see their fellow classmates play this role. Our last suggestion for getting students interested in debate is to, at least initially, keep motions strictly ‘local’ and close to their political contexts. For example, in a previous debate training held in November 2007, trainer attempted to introduce the motion, “This House Believes Kosovo should be Independent.” This motion was debated in tournaments across Europe, and debaters called on sovereignty versus right to self-determination arguments. The problem in Kosovo was that no one wanted to debate the opposition side (which would essentially mean using Serbia’s arguments). So we amended the motion to the hot issue at the time, meaning whether Kosovo should proclaim independence on December 10, 2007 following the release of Marti Ahtisaari’s report, or whether it should wait for multilateral international support in. (Needless to say, those advocating immediate proclamation of independence won the debate by unanimous audience vote.) Trainers need to be highly sensitive and attuned to the local environment, if they are to succeed in getting students interested in debate. For us, teaching debate in Kosovo was a humbling experience that brought awareness of a whole host of issues that debate trainers working in established democracies do not generally encounter in their work. In order to spread debate as an enriching and valuable academic activity that inspires critical thinking – we need to be aware of the challenges similar to those presented in this short essay. We hope our experience will contribute to the discussion about how to teach debate in societies different from ours, in the hopes of expanding our debate training methodology – as well as our minds. JUDGING DEBATES: A PRAGAM-DIALECTICAL PERSPECTIVE About the author: Daniel Schut has a master's degree in political science and currently works as a map maker for the Argumentation Factory. In 2006 he reached the Worlds and Euros ESL finals, and won the Oxford IV ESL final in 2005. Judging debates is a lot harder than debating. As a debater, you can often rely on your common sense to determine whether your opponent’s argument is flawed: you know it’s wrong or not. You can decide how to attack it, based on experience and strategic insight. But how do you weigh up arguments as an adjudicator? What if the opposition didn’t attack an argument that you thought was flawed? How do you weigh the relative persuasiveness of two equally good opposing arguments, when both sides haven’t made these arguments clash? There are a few general guidelines for judges. One is that a judge shouldn’t factor in her own opinion of arguments. If a team by virtue of the draw has to argue that the invasion of Iraq was a success, and you think categorically that it wasn’t, you can’t blame them for arguing what you don’t agree on. On the other hand, you can’t discount everything you know: when a proposition argues reams of utter nonsense, you can’t fault the opposing side for not disputing every single claim they make. The general rule given to inexperienced judges in cases like this is that you should weigh arguments based on what an ‘unbiased, intelligent observer’ would think of an argument. But how do we know what this hypothetical unbiased observer would think of an argument? More specifically, what would an unbiased intelligent observer think when two sides didn’t make arguments clash or when one side didn’t point out a potential flaw in an opposing argument? The ‘unbiased, intelligent observer’-method doesn’t provide much help here. Where else can the beginning adjudicator turn for guidance? One approach to judging debates can be found in pragma-dialectics. In this essay I will first introduce pragma-dialectics, then discuss debating through the lens of pragma-dialectics. Finally, I will show how pragma-dialectics can be used to judge a debate. Contrary to the ‘unbiased observer’-method, pragma-dialetics gives some very concrete pointers to judges. What is pragma-dialectics? Pragma-dialectics is a theoretical approach to analyzing argumentation, originally developed by two scholars from Amsterdam: Rob Grootendorst and Frans van Eemeren. It combines two schools of thought: one from philosophy, the other from linguistics. The philosophical school is that of formal dialectics, developed by Hamblin, Bart and Krabbe and critical rationalism, as developed by Popper, Albert and Naess. The linguistic school is the pragmatic philosophy of language, including speech act theory as developed by Austin, Searle and Grice1. Combining these two schools of thought allowed them to look at argumentation as both a philosophical practice of intellectual rigor, and as a sociolinguistic phenomenon, as two or more people performing speech acts with a specific goal in mind2. That in turn allowed them to build a model of what they call ‘critical discussion’ that is both descriptive and normative. For debaters, there are three elements of this ‘critical discussion’ that can be helpful. The first is the pragma-dialectical concept of ‘reasonableness’, the second is the four-stage ideal model of a critical discussion. A third element is related to pragma-dialectical analysis - analyzing the argumentative process. The pragma-dialectical concept of reasonableness stems from Stephen Toulmin3. Toulmin introduced three perspectives of reasonableness: a geometrical perspective, an anthropological perspective, and a critical perspective. 2 Frans H. van Eemeren, Rob Grootendorst & Fransisca Snoeck-Henkemans, Handboek Argumentatietheorie. Groningen, The Netherlands, Martinus Nijhoff Uitgevers, 1997, p. 351. The geometrical perspective is the logician’s perspective: it starts from indisputably certain premises, through logically valid patterns, and arrives at necessarily certain conclusions. The anthropological perspective is the opposite end. They say that arguments are persuasive if the audience judging the arguments finds them to be persuasive. That is to say, if the argument ‘rings true’ with the ‘epistemic background’, that is, the knowledge, certainties, uncertainties, norms, values and beliefs of the audience. The third, critical perspective is that of Van Eemeren and Grootendorst4. It stems from the intention which discussants have to resolve their difference of opinion according to procedural rules that they together hold to be universalisable. They adopt a working form of reasonableness which is procedural, normatively formalized and relative. Procedural, in the sense of critical rationalism, in that the truth value of claims is always tentative, and are and should be subject to procedures to critically evaluate them. Normatively formalized, in the sense that the participants in a critical discussion – implicitly or explicitly - agree to be held to normative standards, and try to adhere to rules of engagement (both behavioral and analytical) which can help them to resolve their difference of opinion. Relative, in the sense that the rules are intersubjectively valid: they need not be universal, but are at least universalisable. The ideal model of a critical discussion is the process through which discussants, using the above-described concept of reasonableness, would resolve their difference of opinion. It goes through four stages: the confrontation stage, the opening stage, the argumentation stage and the concluding stage5. In the confrontation stage, the discussants first notice their difference of opinion. In the opening stage, the discussants (implicitly or explicitly) establish the material and procedural starting points for discussion. In the argumentation phase, the discussants actually argue. In the concluding stage, the discussants decide the result of their discussion. Importantly, this model can be used both descriptively and prescriptively. with entire debates captured on both sides of two A4’s. While I’m not doubting the incredibly efficiency in note taking and recollection of some judges, the first pointer for any adjudicator would be to be conscious of what you delete (that is: be conscious of what you don’t write down) and why. This is especially important at the beginning of the debate: during the first speeches, a judge can’t be sure of which arguments and strands of thought will be picked up later in the debate, so she has to make sure she gets the gist of everything which might be relevant later on. During the summary speakers, adjudicators can be expected to write less substantive material down. Since the summary speakers are acting as very partisan adjudicators, one would expect the adjudicators to add ‘meta’-notes to the notes they took during the previous speeches, based on where the summary speaker ‘tells’ them where to put these notes. Addition and substitution are both dangerous transformations to perform as adjudicators, especially when judges have deleted much of the debate by not taking enough notes. They are dangerous because they require ‘mind-reading’ by the adjudicators, which often leads to projection of ‘what they actually meant to say’. If, as a judge, you feel inclined to do just that, do a reality check, in one of the following two ways. The first is to check if your fellow adjudicators have the same interpretation of what you thought you heard. The second check is going back to (your notes or recollection of) the debate, and ask yourself if you can reasonably believe that all debaters from the other teams had the same interpretation of the argument as you did. If they did, you’re probably right. If they didn’t, you could well be wrong. If you feel you’re right nonetheless, and the other teams didn’t understand the argument, you can still ask yourself if a debater’s job isn’t to state an argument so clearly that everyone gets it – meaning you’re right in your interpretation of the argument, but still have a reason to not count it as much as you wanted to. That being said, substitution is crucial for listening to debates at international tournaments. When listening to ESL-teams, or even English-as-a-FirstLanguage-teams from very different debate communities, you can be reasonably sure they each have a different linguistic register for debating. Unfortunately, pragma-dialectics doesn’t offer much help here, other than point you to the need to be conscious of the different registers that debaters can use internationally. arguments, and if the argument makes it that far, then clearly they have succeeded very well in taking up their role so far. A second implication of this is that you need to look for the criteria that the speakers themselves put forth to judge the discussion by. These criteria can be explicitly verbalized, but need not be. They are explicitly verbalized in phrases like ‘the clash of this debate will be…’, or ‘we are going to run this case on the principle that…’. But you can also infer them from the behavior of the debaters: if all debaters decide to spend most of their time on an argument which you think is silly and irrelevant to your perception of the case, you will have to ditch your perception and run along with the debaters, since they apparently all agree that this specific argument is the most important. A third, and final implication is that you are free to judge a debate on formal, procedural criteria for argumentation, like ‘how well developed’ an argument was, in the sense that every relevant truth claim was argued to be true, was argued to be relevant and has been supported with ample illustrations, or how ‘internally consistent’ an argument was, but that you should be careful in judging the substantive value of any argument. Since, pragma-dialectically speaking, you are part of the debate, you are allowed to bring in some substantive ‘common knowledge’, but you can only bring in specifically that substantive common knowledge which you can justifiably expect to be shared by the debaters you’re judging – which, given the fact that most judges have debated for longer than the people they’re judging, is probably less than you think. Conclusion We’ve looked at debating through the lens of pragma-dialectics, and found that both the game of debating and adjudication are a whole lot more complicated. Pragma-dialectics has pointed us to unforeseen depths and complications in what we do for fun. But these complications are exactly what we like so much about this game: the challenge of trying to establish intersubjectively shared, universalisable criteria and procedures for saying something true and relevant is exactly what drives us towards this game. Debating helps us in becoming more true and more relevant with every speech, and every tournament, and pragmadialectics helps us in discovering the road to get there. P OPULISM , D EBATE AND THE T EA P ARTY : H OW THE A PPEAL OF P OPULISM S EPARATES D EBATE FROM THE W IDER P UBLIC About the author: Daniel Berman is a Masters student at Kings College London. context. Its appeal is emotional and debaters can be as vulnerable to it as anyone else. T HE M OTION AS K OAN : S EEING D EBATE AS T RANSFORMATIVE P RACTICE About the author: Stephen M. Llano, Ph.D. studies the practices and pedagogy of debate and argumentation. He researches rhetoric, rhetorical criticism argument theory, and their connections to literature. He currently directs the St. John’s University Debate Society in New York City, and has served as a teacher of debate at the University of Rochester and the University of Pittsburgh. In 2005, the internationally famous author and Zen monk Thich Nat Hahn was allowed to return to his native country of Vietnam. While there, he founded a new monastery, Bat Nha, for practitioners of Zen Buddhism. In 2009, the Vietnamese government engaged in practices that denied the monks their religious freedom. Human Rights Watch claims that “undercover police and local communist party officials terrorized and assaulted several hundred monks and nuns,” and “authorities have relentlessly harassed and pressured the Bat Nha Buddhists to vacate Phuoc Hue and other pagodas that took them in, periodically cutting electricity and water and barring local lay people from providing food and supplies.”1 Disturbing reports indicate the use of incredibly loud music, assaults, and physical intimidation of the monks by gangs of thugs.2 In response to the international attention to these terrible crimes of religious persecution, Thich Nhat Hanh wrote a response – he compared the political prosecution of these religious followers to the koan, a method of Zen training: A koan cannot be solved by intellectual arguments, logic or reason, nor by debates such as whether there is only mind or matter. A koan can only be solved through the power of right mindfulness and right concentration. Once we have penetrated a koan, we feel a sense of relief, and have no more fears or questioning. We see our path and realize great peace. “Does a dog have Buddha nature?” If you think that it's the dog's problem whether or not he has Buddha nature, or if you think that it's merely a philosophical conundrum, then it's not a koan. “Where does the one return to?” If you think this is a question about the movement of an external objective reality, then that is not a koan either. If you think Bat Nha is only a problem for 1 Human Rights Watch, “Vietnam: End Attacks on Bat Nha Buddhists,” Human Rights Watch, http://www.hrw.org/en/news/2009/12/16/vietnam-end-attacks-bat-nha-buddhists, Dec 16, 2009 (Accessed July 20, 2010). 2 “Zen master: Vietnam paid mobs to evict followers,” The Herald, January 12, 2009; Simon Montlake, “Buddhist Sect Decries Lack of Freedom in Communist Vietnam,” The Christian Science Monitor, October 5, 2009; Andrew Buncome, “Vietnamese Evicted My Flock , Says Zen Master,” The Independent, January 12, 2010. 400 monks and nuns in Vietnam, a problem that simply needs a “reasonable and appropriate” solution, then that too is not a koan. Bat Nha truly becomes a koan only when you understand it as your own problem, one that deeply concerns your own happiness, your own suffering, your own future and the future of your country and your people. If you cannot solve the koan, if you cannot sleep, eat or work at peace, then Bat Nha has become your koan.3 This response is valuable to debaters. Hahn argues we cannot understand or help until we fully absorb the situation into our daily lives. Instead of keeping the issue on the level of esoteric discussion– what solutions should be offered, who is to blame, what international agency should intervene – we should confront it with our being. Hahn’s followers and supporters in this matter certainly feel distant, powerless, and unable to offer the help that they want. Hahn attempts to redirect their desires toward what he feels is greater. To help Bat Nha is to absorb the issue into your own life, and confront this issue daily. If you do not internalize and own the situation, nothing will come of it, and the ground remains fertile for repetition. Thich Nhat Hahn’s suggestion for how to solve Bat is compelling as an analogy to debate practice. Much like those wishing to help the persecuted nuns and monks in Vietnam, the conversation about which agency should intervene and placing responsibility often dominates caring debaters’ minds, and the participants feel good during such debates. This feeling of satisfaction at our knowledge and words is only a part of the practice of debate. In this essay, I argue that complete debating practice should extend to the transformation and improvement of the whole person – an engagement that assists in winning more debates, and in critical and careful consideration of daily speech, daily acts, and daily understanding. If we think of the practice of debate as a forum for refining and developing our abilities as human communicators, we broaden the value and importance of debate tournaments. Debate becomes more about improving the whole person within society rather than creating an enclave of practitioners of a strange yet powerful art that have trouble discussing important issues in a non-threatening tone. When we don’t internalize practice, as Thich Nat Hahn reminds us, the political consequences can be dire. We easily lose sight of how our debate practice convinces us we are the total masters of our words. A quick inventory 3 Thich Nhat Hanh, “Zen Master Thich Nhat Hanh's compassionate response to the persecution of his students in Vietnam,” January 24, 2010 http://www.plumvillage.org/letters-from-thay/241-bat-nha-akoan.html (Accessed July 20, 2010). of your personal life or personal experiences is a sobering reminder as to how little control and influence we have over how our words are interpreted. Such carelessness can lead to unintended violence. Debate is such a powerful tool for the transformation of lives that I seek to reconnect it to the aesthetic, imaginative, and spiritual side of communication. It is in this dimension that a huge amount of our interactions with other human beings occur – but we spend such little time investigating this realm with the other intelligent people we meet due to unreflective debate norms. Thich Nat Hahn suggests that the methods for teaching enlightenment in Buddhism should be “skillful means” – one must not predicate others’ understanding on your own connections between symbols, objects, and actions – a difficult proposition at best. “These means are only skillful if they are suitable to the particular circumstances.”4 In debate, nothing could be more valuable than to develop “skillful means” for reaching adjudicators, opponents, your partner, and of course, others in the community. The point of using these practices is the same as the point of improving one’s ability in debating. “One of the greatest potentialities of skillful means is to free beings from their prisons of knowledge and prejudice.”5 Many times, without our even trying, we are taught how much of what we ‘know’ about an issue or region of the world is not actually so. Approaching debate with the attitude of “skillful means” creates a goal in the practice of debating outside of tournament success. It is my belief that the pedagogical principles behind the use of Koans in Buddhist teaching can be applied in this manner. The first step is simple: One should think of the motion as if it were a Koan. Instead of seeing the motion and thinking "What are the arguments I can win on, that are related to the motion?” you articulate a response to the motion that does not seek to use it as an instrument to win its own particularities. You instead articulate persuasive belief that the motion will serve as an example. A Koan is designed to separate the practitioner from the limits of reason, rational, and logical thinking. But this, from the point of view of a rhetorician, is merely a transition into another type of discourse. Zen and Chuan masters are not looking for the correct answer, for a check box when they are evaluating what students say when responding to a Koan. They are looking for a much deeper understanding, and it comes in the form of a way of speaking and engaging the speech of others. This discourse is rooted in the experiences of the everyday, but articulates these experiences and this information differently. 4 Thich Nhat Hanh, Zen Keys (New York: Doubleday, 1995), 52. 5 Hanh, Zen Keys, 52. It attempts to critically question deep assumption and hierarchy. The koan is an opportunity to speak critically and display one’s mind in hopes of enlightening others. The debate motion, if treated this way, could serve the same purpose, benefiting debaters both competitively and educationally. This suggestion is esoteric, so deeper comparison with what Zen masters look for to determine if a monk has reached satori, or understanding is in order. Here are some of the principles of evaluation for practitioners of Zen Buddhism: The “awakened” person naturally refuses to occupy the position of disciple, whose commentary is ipso facto “deluded.” He insists rather on seizing and holding the position of master in the dialogue, which means that he must be prepared not only to comment on the root case, but to pass critical judgment on his teacher’s remarks as well when the teacher tries the usual gambit of putting him in his place. The confidence to stand one’s ground in this situation comes from understanding the basic message of Chou-chou’s ‘not’ (and many other Ch’an/Zen dialogues) which is simply that words and signs utterly fail to convey the true dharma.6 The origin of the term Koan is a legal one, meaning "public case" - like the modern practice of stare decisis, where case law is commented upon to apply it to a contemporary legal question. One can therefore think of koans, at least in their origin, as a discursive challenge not unlike debating. The challenge is: Can you provide a commentary that can both explain anew, and keep in tone with the previous ruling? This spiritual stare decisis is the pedagogical tool of the master to see if the student is "getting it" - are they making sense within the rhetorical order of Zen? Are they making a valuable contribution with their words to the understanding of those who hear? Are they making an impact on the thought of those who are listening? This is where the koan breaks with traditional debate practice as mental gaming. The value to those listening is considered both above winning a contest and a central part of the evaluation of that contest just the same. When we discuss adjudication standards along the lines of “general persuasiveness,” we are speaking closer to the way koan practice is evaluated. But when we discuss the tactics of what the motion allows us to “get away with,” we lose sight of the broader and more critical component of debating. 6 T. Griffith Foulk, “The Form and Function of Koan Literature: A Historical Overview,” in Steven Heine and Dale S. Wright, Eds., The Koan: Texts and Contexts in Zen Buddhism (New York: Oxford University Press, 2000), 41. Foulk points out that the first step is to "stand one's ground," to occupy the position of the teacher, and to speak with confidence. What is important for my analogy between koans and motions here is that the confidence stems from understanding the "basic message" of the koan and making sure all arguments are relevant to the center. Frequently we see debates where the "basic message" is not only lost, but since it is absent, the speaker fails to perform even the most basic elements of confidence? Confidence comes not from what you think you know, but from your approach to the motion. Do you allow the basics of the motion to inform your speech, or do you allow your confrontation with the motion to determine your speech? In the metaphor to koan practice, the choice is clear – the confrontation of the whole self with the question is the genesis of a proper answer. Intellectualizing with semantics or other “gaming” methods will only lead to failure to grasp the principles, and judgment against your understanding on that question. Foulk described his second criteria describes as a reversal of, “the prohibition against the interpretation of koans as symbol systems. All authoritative commentary, as modeled in the discourse records and koan collections, is grounded in the principle that the language of the old cases is figurative and the actions they report are symbolic. Clever commentary may acknowledge and play with the literal meaning of a saying, but it must never fail to interpret and respond to the figurative meaning. By the same token, the comments themselves must be couched in indirect speech. The real sin of intellectualism or discursive thought does not consist in the act of interpretation, as Ch’an/Zen masters like to pretend, but in the expression of one’s interpretation in direct, expository language.”7 Foulk’s meaning here is a warning not to mistake a direct style for a good interpretation of a question. This means, I believe, that debaters are advised to treat all motions as if they were open. Why? Too often, the debater is imprisoned by the directness and simplicity of the motion - they merely argue what they think the motion logically includes. But with the first step in mind, with basic understanding and the confidence of the self in confrontation with the koan in mind, why not approach the motion as something that is the base, not the telos, of one's argumentation? The "sin of intellectualism" might not apply to debaters, but perhaps it does in altered form - nobody likes a debate that sounds “debatey.” People like a debate that sounds persuasive. They like speakers that clearly make their point and back it up with interesting, relevant statements. They like speakers who speak with the 7 Foulk, “Form and Function,” 41.
appearance of the master in the moment. The “sin of direct language,”8 as Foulk puts it, is an indictment of directness. Stylistic remarks, the use of metaphor, analogy, and narrative, and the richness of the persuasive moment are not served when one speaks like an equation. Logic is in service to the debater, reason and rationality are too, but are not speech. Treating the motion as open allows you to use it as an example for your points, and argue something that the example would prove. Forwarding this idea might help debaters access those larger principles, values, and ideas that center and craft good debates. Now the requirements of the round and logic serve you. Foulk concludes his criteria by making sure that we recognize that for all of Zen’s seriousness, full sight of the place of the koan is never lost: “Finally, the satori that gives one master over koans is traditionally expressed in statements to the effect that tone will never again be tricked or sucked in by the words of the patriarchs, which is to say, by the koan genre itself. . . Not to be sucked in is to realize that the words could not possibly embody or convey awakening, and that their imputed profundity is actually a function of the literary frame in which they appear. To fully master the koan genre, in other words, one must realize that it is in fact a literary genre with a distinct set of structures and rules, and furthermore that it is a product of the poetic and philosophical imagination.”9 As a direct analogy, we all need to realize that success in debating is predicated on the artificial rules of debating, and on the community of debaters who treat debate, past rounds, and excellent past speakers as a “literature” from which one can extract the standards of excellence. With the advent of inexpensive digital video and internet access, the breadth of this literature and its development will only continue. It’s good to watch past rounds and past champions, but it is also good to recognize their success is not crafted of shale, but as fluid as the standards of our always expanding, always altering international debate community. Additionally, for the koan to be answered sufficiently by the student, the master must see that the student realizes that truth is an "arm's length" away. This is the realization that the requirements of form, genre, and appropriateness deserve due deference. And here in the koan tradition, there is nothing above, nothing superior, to the format of the koan interview. Why would this be a valuable step in the training of practitioners? ibid Foulk, “Form and Function,” 41.